How much is Danielle Darrieux Worth? Danielle Darrieux Net Worth: Danielle Darrieux is a French actress and singer who has a net worth of $25 million. 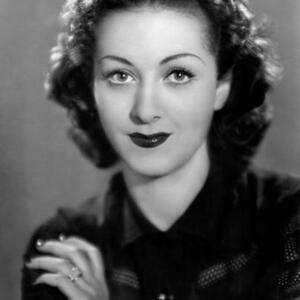 Danielle Darrieux was born in Bordeaux, France in May 1917. Darrieux has appeared in more than 100 films over her career. Danielle studied cello at the Conservatoire de Musique and won a part and made her debut in the musical film Le Bai in 1931. In 1936 her role in Mayerling brought her into the spotlight. Danielle married the screenwriter and director Henri Decoin in 1935. He encouraged her to go to Hollywood and she signed with Universal Studios. She starred in The Rage of Paris in 1938 but then moved back to Paris. Danielle divorced Decoin in 1941 and was married to Porfirio Rubirosa in 1942. Darrieux would go back and forth from Paris to Hollywood and star in films such as Rich, Young and Pretty, 5 Fingers, The Earrings of Madame de…, The Red and the Black, and Lady Chatterley's Lover. Her last American film was 1956's Alexander the Great. She replaced Katharine Hepburn in the Broadway musical Coco in 1970. Darrieux was referenced in Inglourious Basterds in 2009. In 1985 she won an honorary Cesar Award and in 2002 she won a European Film Award for Best Actress and a Silver Berlin Bear Award at the Berlin International Film Festival for 8 femmes. Danielle divorced Rubirosa in 1947 and married Georges Mitsikides in 1948 until his passing in 1991.